Discover how an NEC digital phone system can automate your business by automatically routing calls 24 hours a day seven days a week, reduce time spent with unwanted and annoying phone calls, eliminate the need for a costly fax line, make you and your associates more available to your customers automatically. The NEC Digital Phone System is compatible with most any hardware based Voice Over IP incoming line service provider. This means you can connect cost saving Voice Over IP lines to any of the NEC Business Phone System family of phone systems and save money on your phone bill. Voice Over IP lines also work well for businesses with the need to place many long distance calls as the billing is all on a flat rate basis. The NEC 4 X 8 X 2. The NEC 4 Port KSU. NEC Digital Phone System hardware bundles start with 4 incoming lines X 4 digital stations, to 8 incoming lines X 8 digital stations. 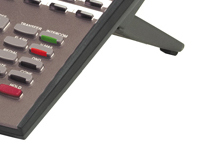 All NEC phone system bundles support a 16 port digital station card. This means that your new NEC phone system has the capability to grow to 16 digital stations with the addition of a cable and a telephone. Hospitality phones available. The NEC 8 Port KSU. With a maximum growth of 108 ports your new NEC 8 slot system can grow to either 24 lines in X 80 digital stations, 32 lines in X 64 digital stations, or 8 lines in X 96 digital stations. Hospitality phones available. The NEC Voice Mail System. Available with either 8 hours of storage or 16 hours of storage and port or 8 ports of voice mail system interface. 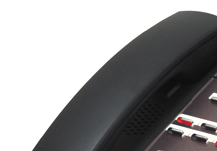 Innovation starts with the sleek NEC telephones. All models feature the same thin , floating design, two position angle adjustment for effortless viewing, and built in wall mounting. The 22-Button Display offers a large 3 line by 24 character display, four interactive soft keys and a built in speaker phone. The 34-Button display is enhanced with a back-lit display and illuminated dial pad (for improved low light viewing), as well as additional feature keys. An advanced model of the 34-Button Display provides a built in full-duplex speaker phone. The 34-Button Super Display has all the features of the advanced 34-Button Display and additionally offers the user a 9-line-by-24 character display and 12 interactive soft keys. Rounding out the line, the SX Cordless Telephone provides mobility and flexibility for those who spend much of the day away from there desk. Automated Attendant Calls go straight to the automated attendant, or ring all telephones, or ring the operator telephone 4 to 5 rings before going to the automated attendant. 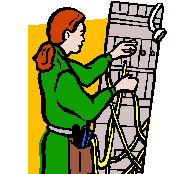 The automated attendant then routes the call to the party or department the caller selects. Voice Mail Card Required. Voice Mail Did you know that 85% of all phone calls placed in business interrupt work that is more important than the content of the call? Associates can have voice mail answer their phone calls when they are away from the phone or just to busy to answer incoming calls. Voice Mail Card Required. Ring Groups Work Station telephones can be part of a ring group such as the accounting department. When a call is transferred to the accounting department that is a part of a ring group, anyone in the group can answer the call. A voice mailbox can be associated with the particular ring group so if an accounting associate is unavailable to answer the call the caller will be directed into a voice mailbox. E System Sales, Inc. is one of the largest business to business retailers on the web today. We are currently providing sales and installation services for the the NEC DSX Phone System to commercial business customers in Los Angeles and surrounding areas such as Hollywood, Burbank, Glendale, Encino, Woodland Hills, Canoga Park, West Hills, Sepulveda, Van Nuys, San Fernando, Sylmar, Valencia, Canyon Country, Saugus, Castaic, Stevenson Ranch. E System Sales is one of the nation's largest Telecommunication Phone System, Point of Sale and Security Camera Systems distributor. Featuring the NEC Phone System, E System Sales provides nationwide sales, installation and lifetime support. NEC designed the system from the ground up with affordability in mind. Economy per port is maximized by high density circuitry. 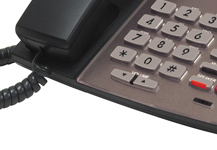 All DSX telephones have a speakerphone and display for increased functionality and total investment. Since the NEC is simple to install and easy to use, the expense of configuration, programming and post-installation training is minimized. The cost-effective NEC voice mail provides sophisticated voice mail and Automated Attendant features previously available only with expensive add-ons or costly external units. Its available on two configurations: 4-port X 8-hour and the 8-port X 16-hour. 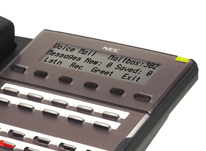 The NEC voice mail Automated Attendant includes the call answering features you demand such as dial access to extensions, unique day, night, and holiday answering, the ability for multiple companies to share the same phone system, and the capability to dial employees by entering their names instead of extension numbers.